Lasers: Coming to a Theater Near You #lasers « Adafruit Industries – Makers, hackers, artists, designers and engineers! IEEE Spectrum has a very interesting piece on the future of the movie industry. There’s a huge push today to develop sophisticated systems that will ensure that the theater experience remains far superior to anything you can get at home or while watching a small screen. These systems will foster the continued growth of 3-D motion pictures, as well as a gradual migration to movies with a higher frame rate, higher spatial resolution, deeper contrast, and even a vastly greater color palette than today’s films. The upshot is that the next three to five years will see the most significant and the fastest technological transition in the history of motion pictures. For the first time, industry leaders have agreed on the need to go beyond the familiar but optically limited characteristics of film stock and embrace the dazzling capabilities of all-digital motion pictures. At the end of this transition, the optical parameters of motion pictures will for the first time approach the capabilities of the human visual system. This technological revolution will come from some radical transformations in motion-picture projectors. 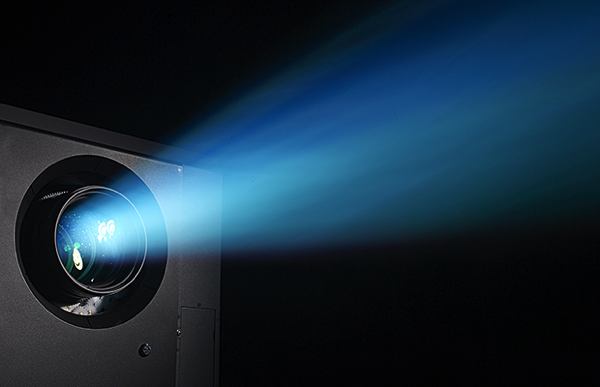 Since 2000, movie theaters have been switching over to digital projectors. But these projectors continue to rely on a 60-year-old technology: xenon electric-arc lamps, whose brightness fades over time. Even brand new, these lamps are not up to the demands of 3-D movies, especially on larger screens. The movie projectors of the future will replace these lightbulbs with lasers. 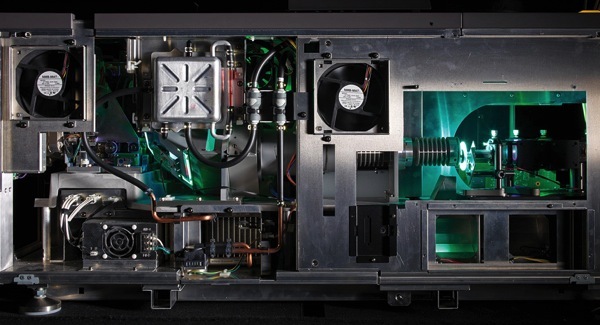 In the longer term, digital cinema and laser projectors will far transcend the boundaries of traditional film. 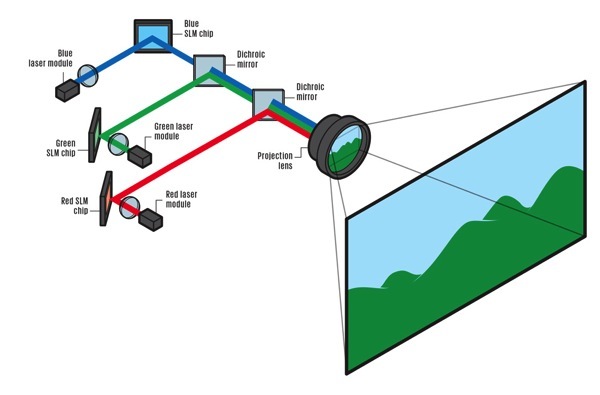 Today’s arc-lamp-based projectors can produce only about 40 percent of the colors that most people are capable of perceiving, whereas laser-based systems can reproduce up to around 60 percent. Laser illumination can also project much more saturated colors because its red, green, and blue beams can have much narrower spectral bandwidth than filtered lamp light. This vastly greater, brighter, and more saturated palette will translate into movies that are more vivid than anything possible today. But such an advance won’t come easily: More colors will require coordinated changes to global standards, and that won’t happen without a lot of arguing over how “wide” to go. More colors will require more bits, which will in turn require more bandwidth to and within the projector. Read more about this incredibly interesting development in the movie industry here.